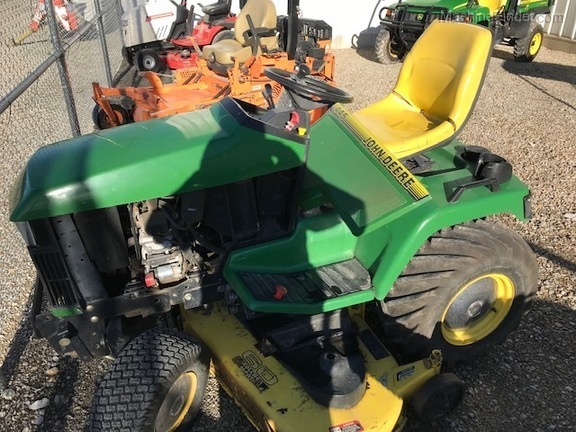 Description: 1995 JD 445, 60" DECK, BAR TIRES, RUNS GOOD. 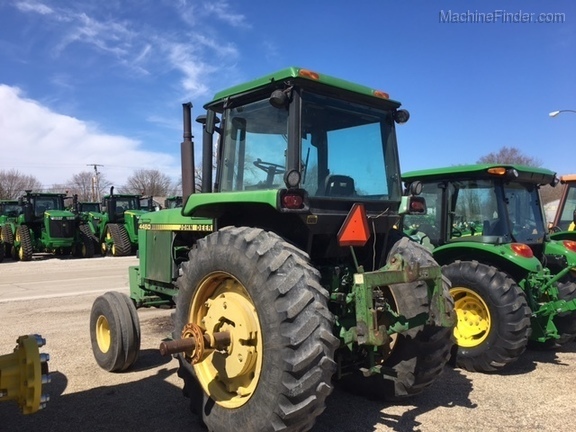 Description: Cab w/ R-134AC, 2WD, Quad range trans, 18.4X38 with duals (insides 20%), duals are 80% Firestones. 11.00-16 front tires, 2 wheel weights on inside rear tire, 12 front weights, 2 hyd outlets + Fasse valve for 3rd. Quick coupler. 540/1000 PTO.